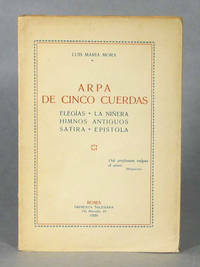 Sociedad de Edicion y Libreria Franco Americana, Mexico City, 1924; First Edition; large 8vo, 311 pages; printed on laid paper; color illustrated stiff wraps. 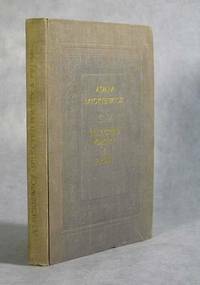 Called one of Latin America’s greatest descriptive poems, Rusticacion Mexicana describes in detail the flora and fauna, industries, mining, agriculture, cattle raising, and pastimes of eighteenth century New Spain. 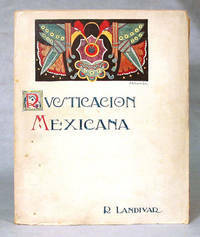 Rafael Landivar, born 1731, traveled to Mexico City from Guatemala in 1749, becoming a Jesuit priest and teaching rhetoric at Puebla and Tepoztlan. When the Jesuits were expelled from Latin America in 1767, Landivar was exiled to Italy, where Rusticacion was written, in Latin, and published in Modena in 1781. 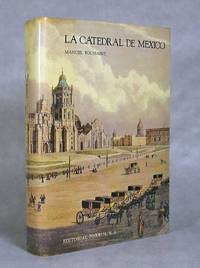 Described by the Dictionary of Mexican Literature as "a grandiose hymn to America, (which) exudes a nostalgic love for the lost fatherland." Translation from the second edition of Bologna, 1782, by Francisco Loureda, in Spanish, with the original Latin on the facing pages. 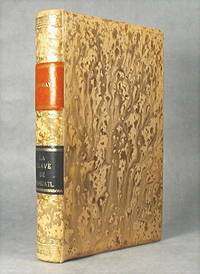 Very Good Plus, edges untrimmed, pages unopened, in the original publisher’s illustrated wraps, no chips or tears. Pages fresh and supple, not brittle. Clean, crisp, and bright, binding tight, sound, and square, no ownership signatures or any other markings of any kind.